Need a bridal party gift, but they seem to have it all? 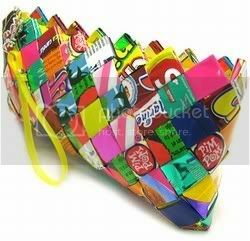 This cute purse is hand made by fair trade workers in Mexico, using folded recycled candy wrappers. Designed by Ecoist, they create stylish items while remaining environmentally conscience.